The notorious druglord El Chapo, currently on trial in New York, is but a bit player in the latest chapter of Netflix's Narcos saga, Narcos: Mexico, which shifts focus in its fourth season from the Colombian cartels to the roots of the drug war, with the 1980s rise of cartel founder (and Chapo boss) Miguel Angel Félix Gallardo (a suave, wiry Diego Luna). Chapo’s ongoing headline-making trial adds relevance and resonance to a tragically suspenseful account of the deep institutional corruption that thwarted DEA agents in the early days of the Reagan-era war on drugs. A wry narrator (whom we only meet at the very end of the 10 long episodes) tells us from the start that this chronicle won't have a happy ending—"in fact, it doesn't have an ending at all." (Cue the sequel.) Narcos: Mexico smartly splits focus between Gallardo’s rise to power, forging a coalition of drug traffickers to dominate the marijuana (and later cocaine) market, and the dogged pursuit by Mexican-born DEA agent Enrique “Kiki” Camarena (a likably hot-headed Michael Peña). Narcos feels authentic, from the location footage to the use of Spanish language (with English subtitles) when immersed in Gallardo's circle of deadly intrigue. The fight for justice, however, speaks a universal language as Camarena lights a fire under his more laid-back colleagues to confront a system in which local police and government officials protect Gallardo’s lucrative operation, and even the U.S. State Department seems to turn a blind eye. 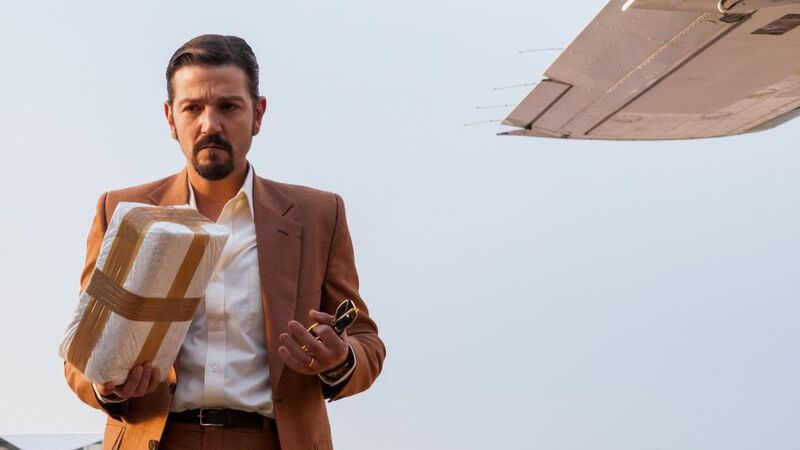 But it’s not until the agent falls into the cartel’s clutches late in the season that the boom begins to lower on Gallardo and his unruly deputies (including the electrifying Tenoch Huerta as a would-be Scarface). It’s hard to “just say no” to this absorbing, alarming and—yes—addictive series. There's no such thing as home sweet home in My Brilliant Friend, an achingly realistic coming-of-age drama adapted from Elena Ferrante’s bestselling novels. Set in a bustling neighborhood of post-WWII Naples, the series (in Italian with English subtitles) sees the world through the solemn wide eyes of childhood best friends Elena and Lila, who couldn’t be more different. Studious, obedient Elena quietly envies the precocious and willful Lila, who flouts convention and continues learning in adolescence even after her volatile family forbids her from pursuing higher education. Although Elena enjoys more opportunities, including an eventful teenage summer by the sea, she is drawn back to Lila and her fearless resistance of a society marked by class conflict and domestic turmoil. With a sensationally authentic cast—Elisa Del Genio and Ludovica Nasti as young Elena and Lila, Margherita Mazzucco and Gaia Girace as the teen versions—this unsentimental story evokes the neo-realist classics of Italian cinema (The Bicycle Thief especially) as it movingly depicts emotional resilience in changing times.